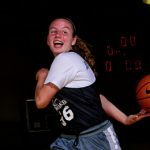 Class of 2018 wing Izzy Strigel of Durham, N.C., has emerged as a must track for schools needing a wing with size. 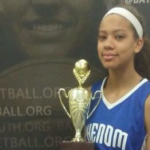 Our staff will work with her for two days at the #EBAAllAmerican Camp in September 2016. Strigel averaged 15.3 points per game during the 2015-16 school season. 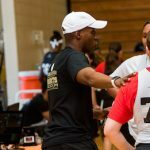 Brandon Clay’s takeaway – EBAAllAmerican Camp (Sept. 2016): Strigel came out blazing at her first Elite Basketball Academy event. The Class of 2018 wing showed a penchant for the long range shot here. She has multiple unofficial visits planned over the course of the fall and will play with #PSBFamily member Carolina All Stars next club season. Available ‘18 W Izzy Strigel (@izzzbreezy) of @daathletics has been on a tear lately. 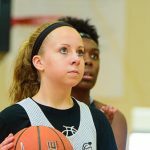 Keep an eye on Available ‘18 G Izzy Strigel (@izzzbreezy) of @daathletics & @carolinallstars. High academic shooter eyeing a preferred walk on spot. ’18 W Izzy Strigel (NC) to NYU. Make sure to see @carolinallstars & @CoachBNorwood‘s group. 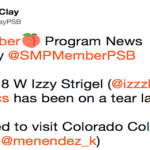 ’18 #SMPMember Izzy Strigel is in & ready to work. She also has #EBAAllAmerican Sep 2-3 invite. Before she shines at #EBASuper64, ’18 Izzy Strigel (NC) to visit Dartmouth. 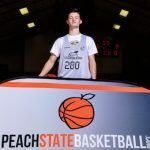 After 26 pts on Fri., ’18 Izzy Strigel (NC) visited Columbia on Sat. ’18 W Izzy Strigel (NC) is a scorer’s scorer. 31 pts in a W vs Ravenscroft. ’18 W Izzy Strigel (NC) visited Southern California last weekend; averaging 21 ppg, 4 stls per. ’18 SF Izzy Strigel (@izzzbreezy) visited Northeastern & Penn in October. ’18 W Izzy Strigel visited Penn. She’s a high academic prep. We welcome ’18 Izzy Strigel.